We draw want we want and print what we like. Viva La Mort was founded in 2012 when we printed up a small batch of our “Homebrew” t-shirts in a tiny old house in Osaka, Japan. We then opened up The Fort; our screen printing space and shop (and basketball hoop too! ), in Sakai the following year and our biggest little brand was born. 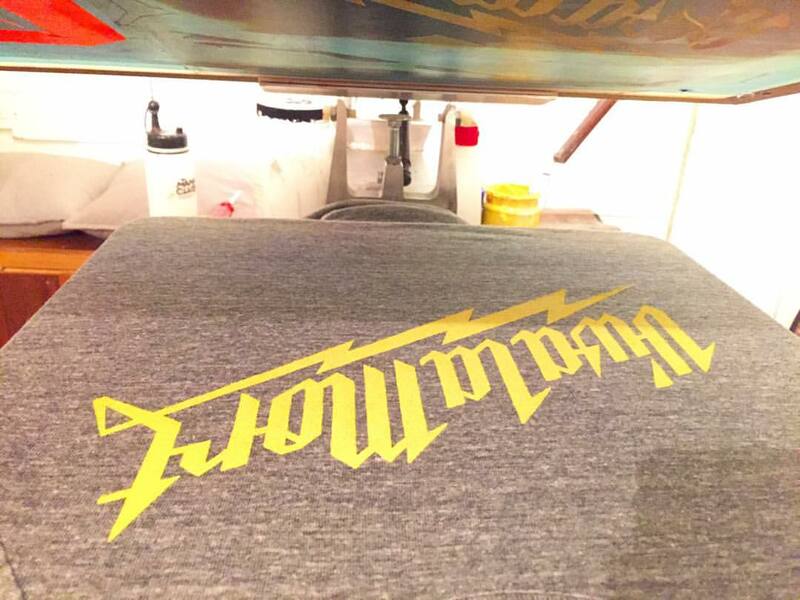 Since then Viva La Mort has branched out to encompass graphic design, illustration, mural painting, custom t-shirt design and printing, as well as continuing to produce Viva La Mort branded small batches of t-shirts, hoodies, and other items. You can check our web shop or Instagram feed for current designs, projects and products for sale. Our focus is on hand drawn designs; analog at heart but we definitely do more than dabble in digital. Whatever you need, we have you covered. If you have any questions, or would like to get your own unique t-shirt design, logo, illustration, mural, etc, please contact us HERE!